David Kogon was born and raised in Toronto. He studied undergraduate science then medical school and subsequently post-graduate medicine becoming an obstetrician / gynecologist. Upon completion of training he and his wife Debbie, a nurse, established his medical practice at Highland View Regional Hospital (HVRH) in Amherst NS in 1985. They have 3 children Jennifer, Nicholas (Jennifer) and Joshua (Karen) all of whom went through the local school system here. They have 5 grandchildren, Holden, Drew, Parker, Ella and Josey. Following 10 years of a solo practice in Amherst, he joined the medical staff at The Moncton Hospital in Moncton, NB while always maintaining residence in Amherst. After 30 years he retired from active practice in early 2016. Besides his clinical practice he was an educator being an Assistant Professor in the Faculty of Medicine at Dalhousie University and Memorial University of Newfoundland. As well he was very involved in medical administration. His various administrative roles included Chief of Obstetrics and Chief of Surgery at HVRH. At The Moncton Hospital he was Chief of Obstetrics, Departmental Director of Medical Education and Program Director/Surgeon-in-Chief. Ultimately he was appointed as Chief of Staff and Medical Director for Horizon Health Zone 1 Southeast New Brunswick overseeing a medical staff of just shy of 300 physicians. He was very involved in both sports and music as a student, baseball his clear cut favorite. He coached baseball in Amherst as both sons played for many years. An avid but admittedly not a very good golfer, he has been a member of the Amherst Golf Club (AGC) for 30 years and has been on the Board of Directors of the AGC for the past 3 years currently serving as President. 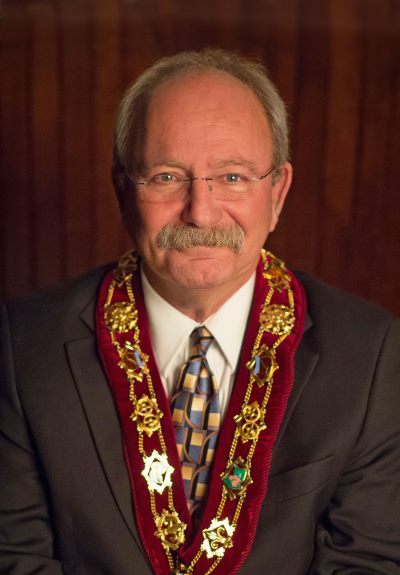 He is so pleased to have been elected as the newest Mayor of the Town of Amherst and is anxious to get busy in his newest position looking forward to addressing the challenges that we currently face.